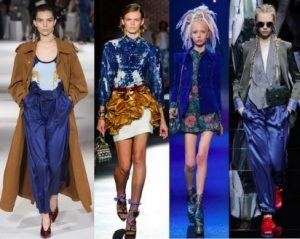 Blue color was the cool hue in the end of 2016! 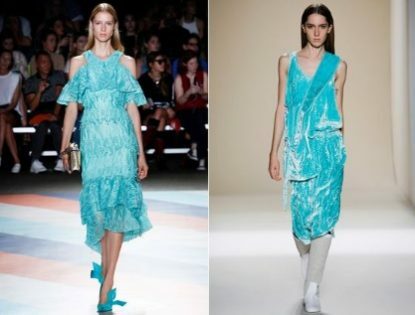 Celebrities embraced the blue color and the red carpet was a flame of gowns in different shades of blue. Street style was a display of blue furry coats, oversize sweaters and denim jackets. 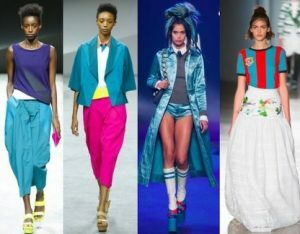 Color blue had its momentum! As we move toward Spring, Pantone has revealed three blue hues for Spring/ Summer 2017: lapis blue, niagara, and island paradise. Let’s see which one of these three blue tones will have the momentum for the season ahead. Blue tones are often associated with divinity and royalty, emphasizing power and authority for centuries. Lapis Blue, a deep blue tone, seeks confidence and power like the deep seas that enchanted us with its calm and breezy waves each summer. 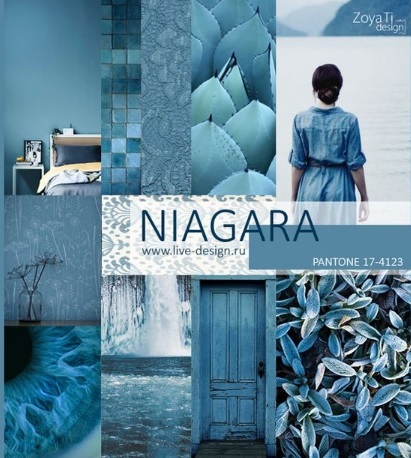 Niagara, a soft blue shade, draws attention to comfort and relaxation perfectly for warm season. Youthful and always fresh, Niagara will probably be the go – to color of the summer. 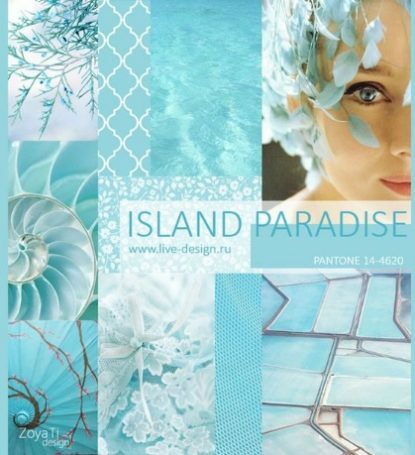 Island Paradise, a cool blue – green shade, refreshes the spirit and takes us to dreamy tropical places. It’s the perfect color for dreamy vacation on the islands of paradise.